Hola, Mike aquí – regresé de otro viaje a El Paso. I’m back from another El Paso trip. Usually when people in the airport find out where I’m headed, I get responses like “I’m sorry” or “Oof, good luck”. After spending a LOT of time here over the past few years, it’s not bad… just different. This time of year is windy season. 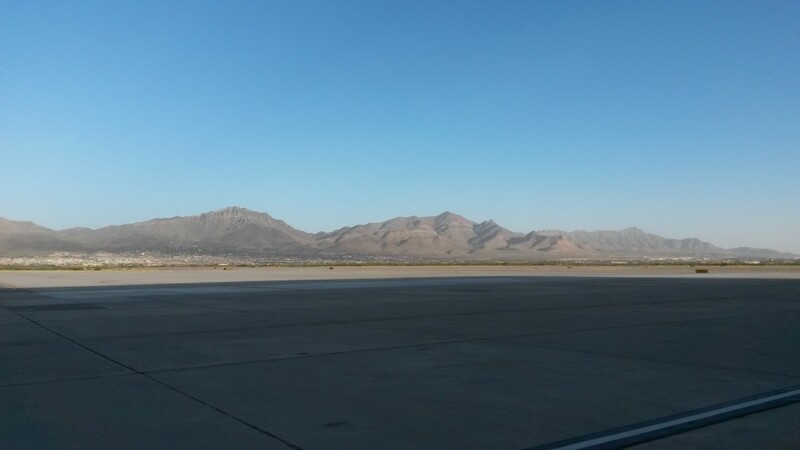 The first picture is of the Franklin Mountains, the prominent geological feature of the city, taken at the airport during “mild” 30 MPH winds. A little hazy from sand, but otherwise fairly normal. The second picture is taken from the same spot, but during a sandstorm. 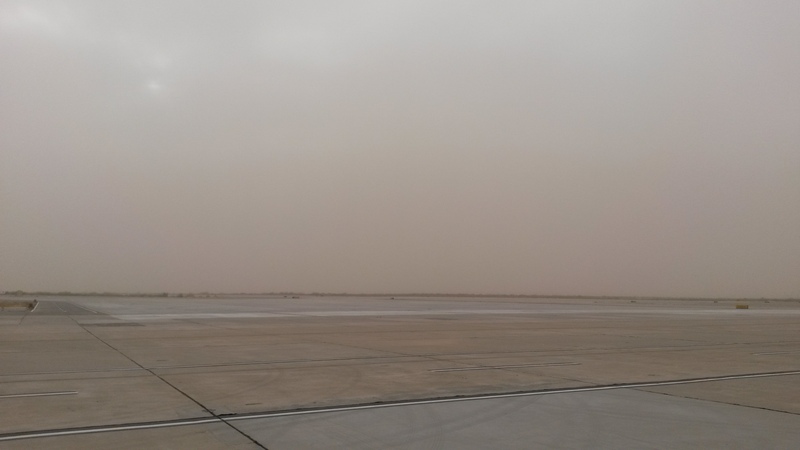 A whole day of continuous hurricane-force winds brings a cloud of sand over the city, blocks out the sun, and makes the act of breathing taste bad. Even the emergency broadcast system (usually “This is only a test…”) warned about this. It took a few days to get all of the sand out of my ears. Apparently this is normal, like 2 feet of snow is normal for us in the Northeast, so I get it. Now for the good – I did get to have my favorite meal in El Paso, and it’s not even Mexican. 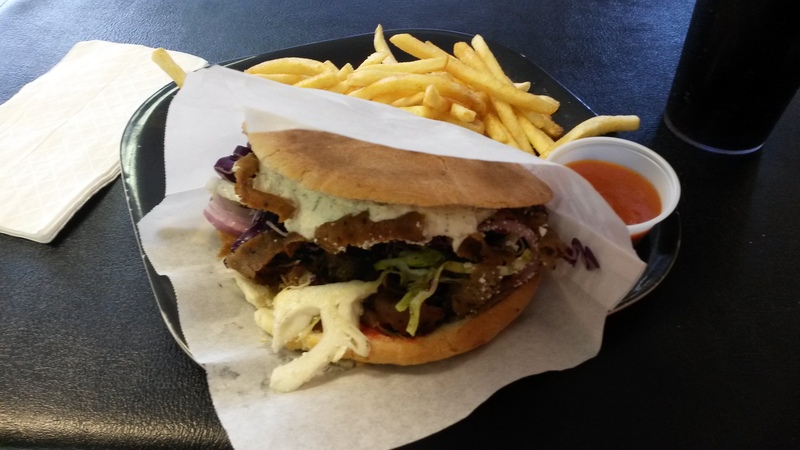 A Döner from J’s Kebab Shop on Dyer St (formerly Döner Kebab Shop). A döner is a sort of German sandwich, that’s a lot like a gyro in sandwich form. The meat is a spiced lamb mixture that’s roasted on a vertical spit, just like a gyro, then piled on a grilled bun with an array of toppings (cabbage, lettuce, tomato, feta – whatever you want). The traditional sauce is garlic-cucumber-yogurt, like tzatziki. Here in El Paso, you can also get habanero and chipotle sauce, which actually go pretty well on this sandwich. The best part is the curry ketchup that comes with the fries. I can’t tell if it’s some special recipe, or just regular ketchup with curry powder in it, but they keep it warm in a crock pot and dole it out sparingly in a tiny cup, as if to make sure you won’t waste any. If you think you don’t like curry, try curry ketchup with fries, it’ll change your mind. 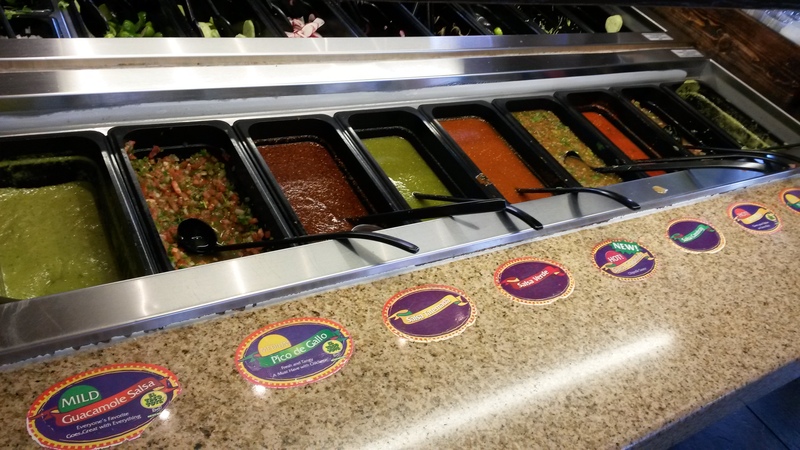 For actual Mexican food, there are over 400 Mexican restaurants in El Paso. 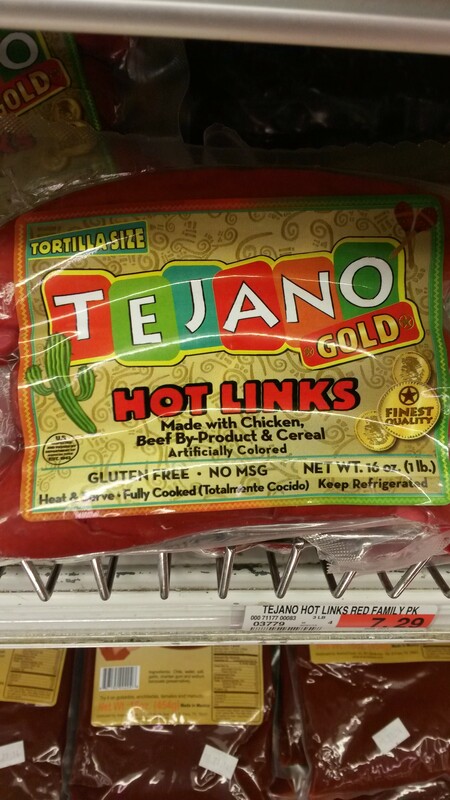 I’ve been to barely 10% of them and they’re all so interestingly varied, mainly Chihuahua-style food. There is some decent stuff to be had from the fast food joints, and I don’t mean Taco Bell (they do have Taco Bell in El Paso, but why would anyone go there?). A chain called Taco Cabana is sort of the McDonalds of tacos around here, and if you really need a taco at 3am, you probably won’t be disappointed in what you get. A little step up from that is El Taco Tote. You can pick from a bunch of different kinds of spiced and grilled meats in a fresh tortilla, and then help yourself to the toppings bar. The locals are probably less fascinated by the 8 different kinds of salsa and 4 kinds of onions you can put on your taco, and less amused by the bucket of tiny key limes you can squeeze over it – but we just don’t have anything like this in the Northeast. If you’re from around here, please chime in about these places. As one of the few yankee gringos walking around here, I’m really curious what others think. 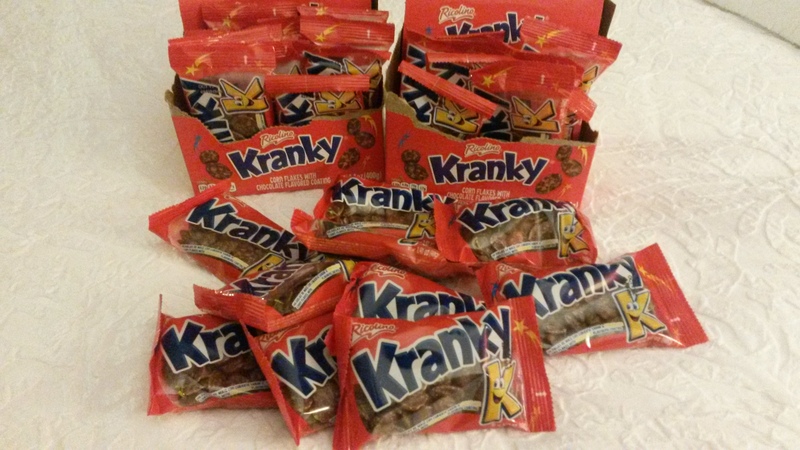 One of my other favorite indulgences I get here is “Kranky”, a candy that is basically chocolate-covered cork flakes. Ok, it doesn’t claim to be real chocolate, but if the anthropomorphic ‘K’ on the package isn’t enough of an indication, the stuff is tasty and fun to eat. I usually buy as much as I can, which usually draws strange looks from others at the supermarket, since it’s located in the “compulsive purchase” area in the checkout line. Just like last time, the supermarkets still stock plenty of questionable meat products. The one that takes the cake this time is the package of bright pink sausages, made with beef by product and cereal, “Finest Quality”, and with a very untrustworthy “Gluten Free” label. Did not eat. 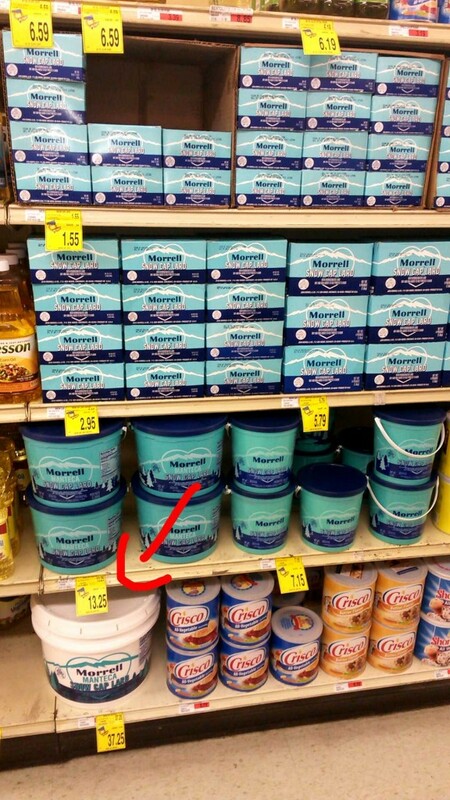 I am glad that they keep only one tub of lard on the shelf at a time. If there were, say, a whole pallet of tubs of lard (with half of the tubs missing), I may have had an empathetic heart attack. Speaking of ailments, the arid climate here dries the hell out of me. 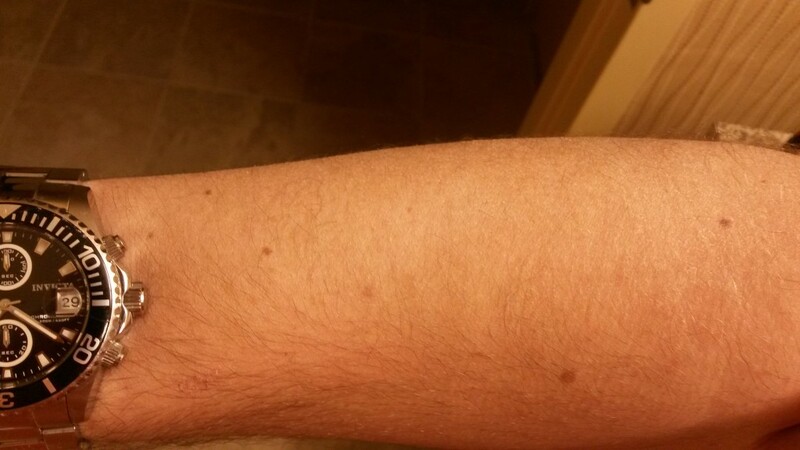 You can’t really tell from this picture, except for the nice watch that Kristina gave me, but my skin is like the Lizard Man and all the lotion in the world won’t fix it. It takes 2-3 weeks for the body to adjust for how dry it is here, so for short trips, we have to endure the crackly skin and waking up 4 times every night to drink a cup of water. I guess it’s not terrible considering that hot days in New England can be a lot like being trapped in a bathroom with someone who’s taking a hot shower for 18 hours a day. For some strange reason, my hotel room had America’s only French-labeled microwave. Seriously, the buttons don’t even have English subtitles. Maybe this is some sort of compromise for the English/Spanish signage debate – this way, nobody here can understand what it says. That’s all I’ve got this time – I’ll likely be back in El Paso later this year – so if you’ve got any recommendations or requests, let me know. 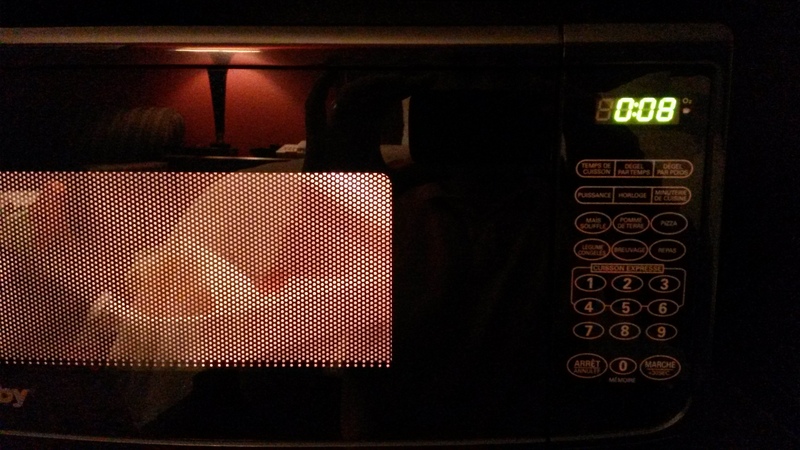 This entry was posted in Guest Posts and tagged doner, el paso, kranky, mexican, texas. Bookmark the permalink.